The root cause analysis aims to dig deep into a particular problem to identify the primary cause behind it. 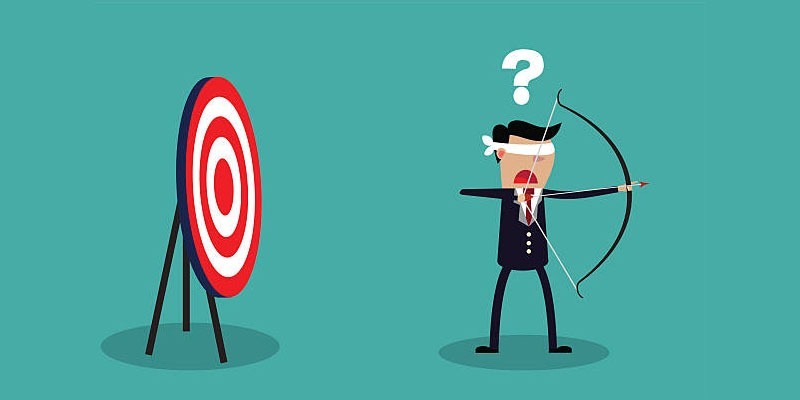 One of the most significant challenges that face us when trying to solve a problem is that what we perceive as the problem is not a cause, it is an outcome effect of one or more root problems. As a result, the solutions we generate will walk in a wrong direction and will not help to solve the issue at hand. Moreover, it can make it more worth. Tools like 5 Whys, Cause-Effect diagram, and Failure Mode and Effects Analysis are designed to help us to investigate the primary root cause of the problem which can contribute to finding the right solution. Previously, we explored other tools like the Failure Mode and Effects Analysis and Cause-Effect Diagram that can explore the different causes of the complex problems and understand why it occurs by investigating the possible factors that may lead to the final outcome. However, it may be time-consuming tools for start-ups who are assumed to be short in time and resources. Also, it may be more suitable for complex situations rather than a simple one. 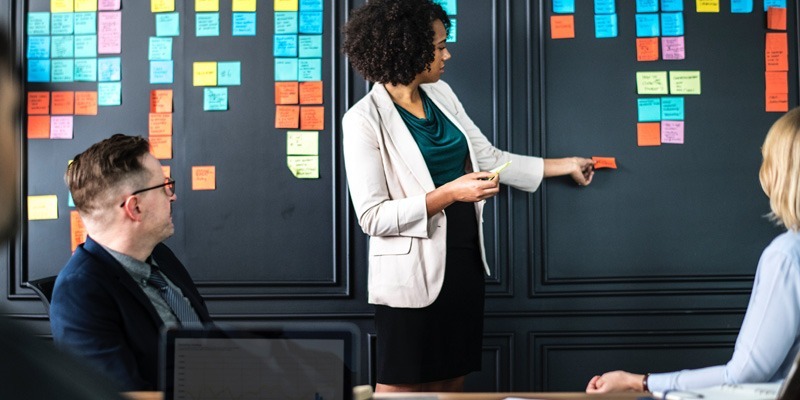 The 5 Whys is another root cause analysis tool that can help the team to investigate the root causes of a problem or number of problems by asking a simple question (why) five times. Using both the cause-effect diagram and the 5 whys tools together can help in getting more accurate results as we will see later in this article. The 5 Whys tool is coined to Sakichi Toyoda, the Japanese inventor and founder of Toyota Industries. He developed the technique back in the 1930s. It was applied in Toyota and still used until today in finding the root cause analysis of the problems. The tool is based on counter-measures methodology which does not only aim to identify the root causes of the problem but also to prevent it from happening. This approach makes it more efficient than the traditional methods that only target solving the final outcome effect. This core concept behind the tools makes it practical and lean as it can be used to investigate either one or more problems. It can be used with other tools such as the cause-effect diagram and Failure Mode and Effects Analysis to have an accurate outcome and to verify the findings and ensure these they are the real root causes. The facilitator defines and writes down the problem that needs to be investigated and describe it accurately to ensure that all the team members clearly understand it. For example, patients don’t attend their doctor appointment. Patients don’t attend their/miss doctor appointment, why? The appointment message doesn’t alert them before the doctor session, why? The messages don’t have an alert feature, why? 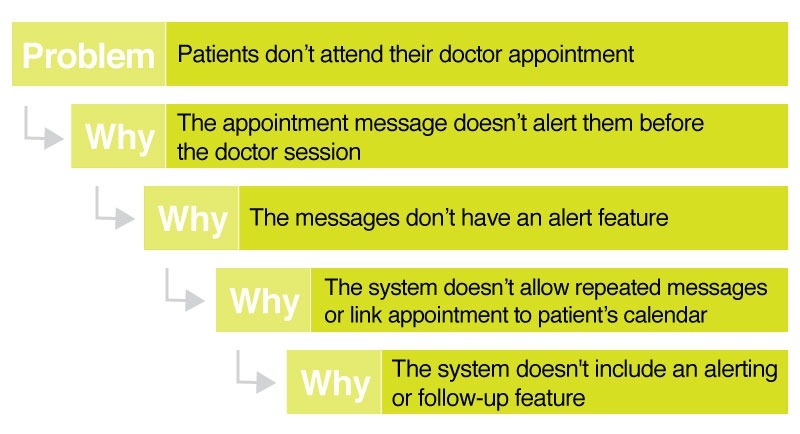 The system doesn’t allow repeated messages or link appointment to patient’s calendar, why? The last sentence seems to be the root cause of the patient missing appoints. The 5 Whys can take further steps until the team feels that they reached the real cause of the problem. The 5 Whys can take one route as shown in the example above or multiple directions when there is more than one cause. In the case above, the team concluded the root cause after only four why questions. The result is that they need a feature in the system that can alert the patients before their appointment or allow them to add the appoint meant to their calendar. The main aim of using the 5 Whys tool is to identify the root cause of the problem. However, they need to investigate the solution of the root cause. Different techniques can be used to solve problems such as the TRIZ method. The brainstorming can be used as a simple tool to discuss the various possible solutions to the issue and explore its parts. The cause-effect diagram helps users to identify all the possible causes of a problem (effect). As the fishbone diagram shows below, the outcome includes objects from different problem perspectives. However, these cause may not be the root causes of the problem and need to be verified using the 5 Whys tool. Once the different reasons have been identified in the fishbone diagram, the team can use the 5 Whys tool to explore the real causes behind the problem and then put an action plan to solve the real causes of the problem and prevent it from happening again. 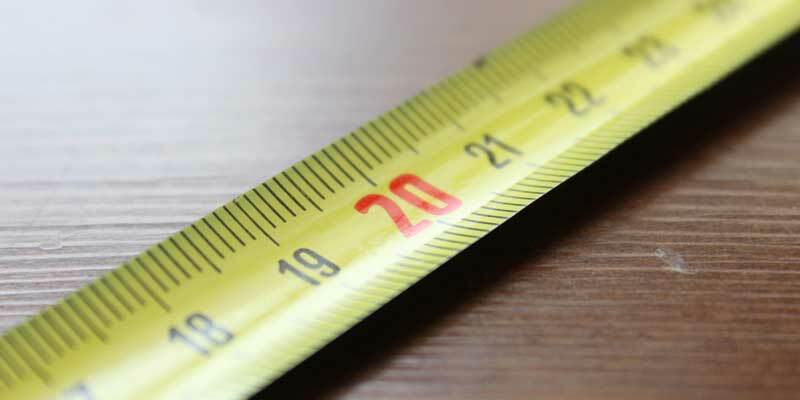 The 5 Whys is one of the root cause analysis tools that can be used to efficiently solve problems by digging deep into the root causes of the problem using the counter-measure method. 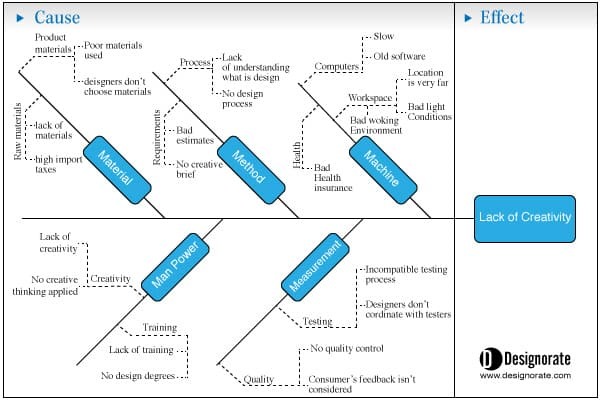 Its lean nature makes it easy to use and implement during stakeholders meetings. While it proved its efficiency, it can be used either alone or with other tools such as the brainstorming to find solutions or cause-effect diagram to explore the different causes of the problem.